In a pretty sharp jab to the reputation of the US, the move also means that European companies considering transactions in the US will be more closely reviewed by regulators. The US joins new members Saudi Arabia, Nigeria, and Panama in the nefarious “dirty money” club. 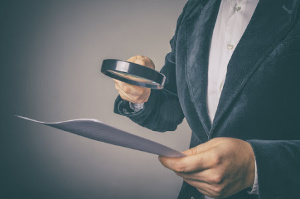 In recent years, the European Commission has pointedly worked to uncover and crack down on tax fraud, evasion, and money laundering that occurs when individuals and companies hide their case in poorly-regulated secrecy jurisdictions. To the casual observer, the naming of the US on a dirty money list may seem laughable, but the country has its share of nebulous tax jurisdictions that are favored by foreign investors for their privacy. The US has also failed to sign on to an agreement called the Organization for Economic Cooperation and Development’s Common Reporting Standard (CRS) This agreement calls for transparency between global financial entities and automatic sharing of transactional information on an annual basis. The CRS also defines the type of financial entities that must report, and the types of data and account information that must be exchanged. In its press release announcing its new list, the European Commission notes its aim with the list is to reduce and prevent money laundering as well as reduce the risk of financing terrorist operations. If you are involved in an offshore tax fraud or other tax issue, contact Robert J. Fedor, Esq., LLC for a confidential consultation. With offices in Cleveland, Ohio, and Chicago, Illinois, we deliver comprehensive legal representation to resolve tax controversy and help you legally shelter your investments. Contact us or call 800.579.0997 today.